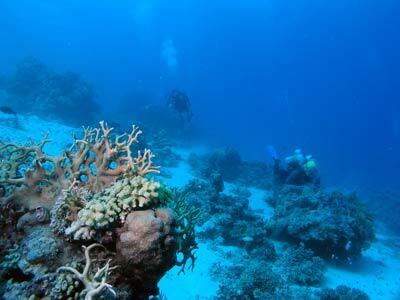 This dive site is located between Ribbon Reef No 4 and Ribbon Reef No 5 (called Ribbon Reef No 4 1/2). It is 125 kilometres north-north-east from Port Douglas. The GPS Reading for the site is S15° 23" 49.4' E145° 45" 46.7'. This is using WGS84 as datum. This small reef runs north south and is just south of a main inlet from the open ocean. 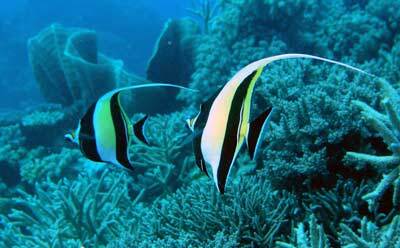 The reef drops from about five metres to about 40 metres (or more), sloping gradually on a sandy bottom. The slope has some small coral bommies spread from 35 metres right up to the main reef edge. There is also one large bommie. 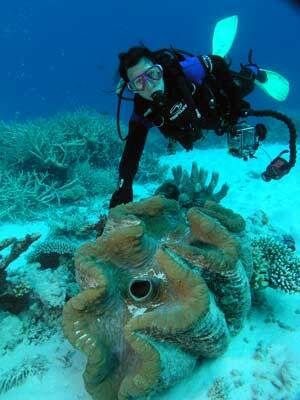 There is no permanent mooring but boats that dive here attach one to a dead coral section in five metres. Drop to the bottom and go to 30 metres or so. 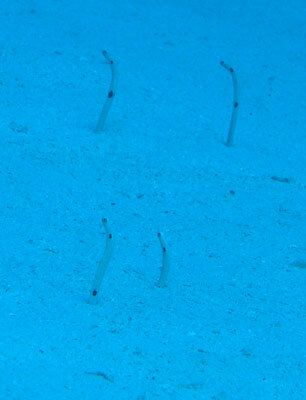 The sand here has garden eels. There are hundreds of them, swaying to and fro in the current. They must be one of the most difficult fish species to photograph, dropping back into the sand as you approach. My tip is to have your camera ready, take a large breath, swim slowly up as close as you can and take a photo before breathing again. This way I got a couple of decent photographs. Other than that, you have to wait ages for them to come back up and unless you are diving here a number of times, you will not have the time to waste doing this. Anyway, the very small bommies have some live coral on top which can make a good photograph with the main wall or open water in the background. We also saw a few white-tipped reef sharks in this area. As you go (the direction will depend on the current - into it) come a little shallower as you proceed. Examine all the bommies and you may find firefish and blue tangs. On the sand you may also see some giant clams. A few of these are very large specimens, at least a metre long. When you get to about 15 minutes, turn around and head back towards the mooring. You can stay at this depth all the way back, skirting around the larger bommie. Once past the mooring keep going for about 10 minutes before going right up to the reef. From here, head back to the mooring and past it again. Return back to the mooring area and spend your remaining time in this area. As the name implies, there are lots of clams on this dive. As well as the large ones you may have already seen, look for smaller ones on the main reef. 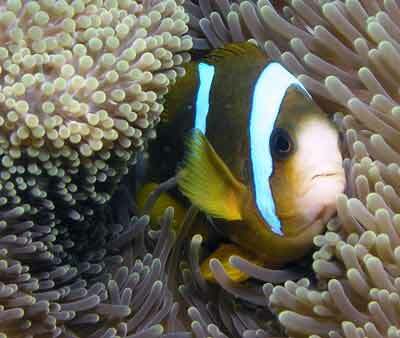 There are lots of anemones, clownfish and small reef fish. We also saw some decent coral trout, titan triggerfish and other interesting species. A very nice dive site, with at least 30 metre visibility.